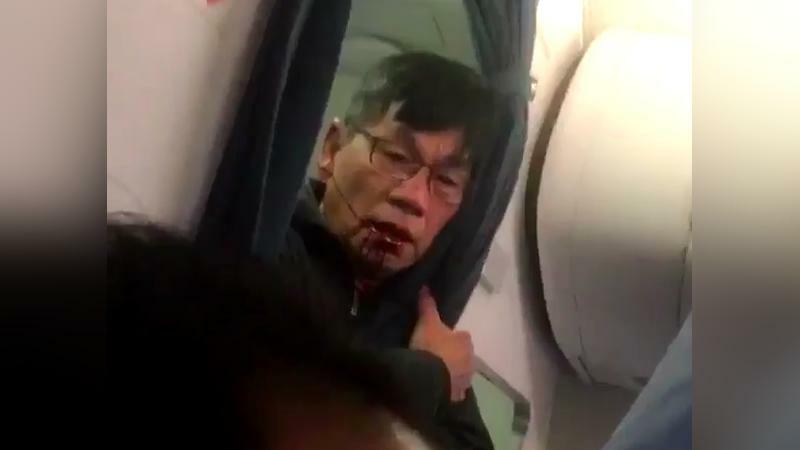 The passenger was removed from an overbooked flight Sunday night, but outrage flared up this morning after a video showed Chicago police literally dragging the 69-year-old passenger down the aisle, causing serious injury in the process. A new video shows a moment that happened about ten minutes after the initial removal, according to witnesses. The passenger came running back onto the flight, went to the rear of the aircraft, and clutched a post, mumbling “just kill me” and “I want to go home” repeatedly. Chicago Police also issued a statement with their version of events, which claim that he “fell,” and his head “subsequently hit the armrest.” That’s, uh, some strong alternative facts right there. According to the statements and reports that we have currently, it would appear that the United flight was full, but four United employees needed seats on the flight. So, the airline initially asked for volunteers, offering up to $800 in vouchers, a hotel room, and a flight home on Monday afternoon. Having found no volunteers, they then proceeded to choose passengers at random and remove them. One couple left without incident, but the second couple picked was a 69-year-old Asian doctor and his wife. He claimed he needed to be back home the next morning to see patients, so refused to leave, at which point police officers were summoned.